Saree is considered to be most sensual of outfits. You know why? If you drape it rightly, it will attenuate your body features that no other outfit can accomplish. From arms to shoulders to neck, all your positive features will be brought to light with a good saree and a well tailored blouse. 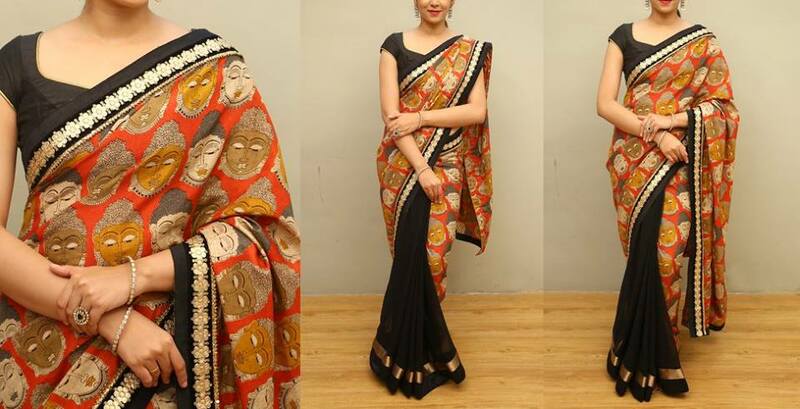 Besides a saree’s natural abilities to highlight your positive profile, you can also opt for creative embellishments on your sarees at favorable spots to make it look more enchanting. Customized embroidery designs, bead works, mirror detailing are few of the ways to make your sarees more beautiful. 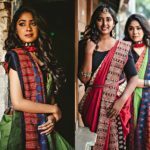 In this line of creative work comes a unique saree style which has been gripping the fashion crowd for quite some time now. It’s the super chic half and half sarees. Half and Half sarees are blend of two different, and entirely unique design/pattern, in one saree ensemble. Generally these sarees will have a pattern worked up from pallu to the area you make front pleats. The rest of the saree is made of a contrasting design that stands different from the earlier half of the saree. Thus these sarees are absolutely creative to wear. If you have not tested out these sarees, even though you are quite late in the trend, we request you to give them a try for its elegance. Now to help you aid in your shopping, let’s see some popular half saree designs you need to consider this season. To explain the trend we went for the label ‘Zari’ by Anju Shankar who has been selling eye catching half and half sarees online. In case if you like to shop the below sarees from them contact details are given at the end of the post. While polka dots are famous patterns to wear with ethnic dresses. A full work would often tend to look all crowded. To solve this, opt for these classic details on a half and half saree. Stripes are another interesting pattern that has been adorning our outfits for long period. Consider giving it a try on your half and half sarees as well. For a party wear, get embellished or zari stripes on your saree. It will make your festive sarees look understated yet elegant. How many of you like embroidery work on sarees This artistic detail has huge fan following. However the charm of heavy embroidery often gets lost when there are too much of work. Alternatively, you can opt them on half and half sarees so the embroidery designs look stand out as below. Bold animal prints are hot pattern of this trend. You can have your half and half saree showing off these prints. If you have been reaching out a boutique, you can even get customized motifs of your choice embellishing your saree. Check prints are another classic design that has been ruling sarees since our mom’s age. You can opt for these on trendy half and half sarees as well. 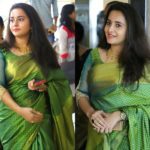 To get an artistic vibe on your saree, go for bold kalamkari prints on half of your saree and rest go plain so it can highlight your saree style. 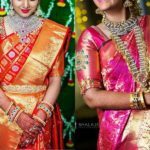 If you are thinking to wear a transparent net saree but shying away for the obvious reasons that it might look too delicate, then grab your first one on a half and half saree. This way you know how to wear a semi net saree, and next time you can even opt for full sheer one. Floral makes a fantastic print to wear with half and half saree. Either you can have the print on the upper part or on the pleats as you please. In both ways it will look regal. Use contrasting color prints so it looks stand out on your saree. 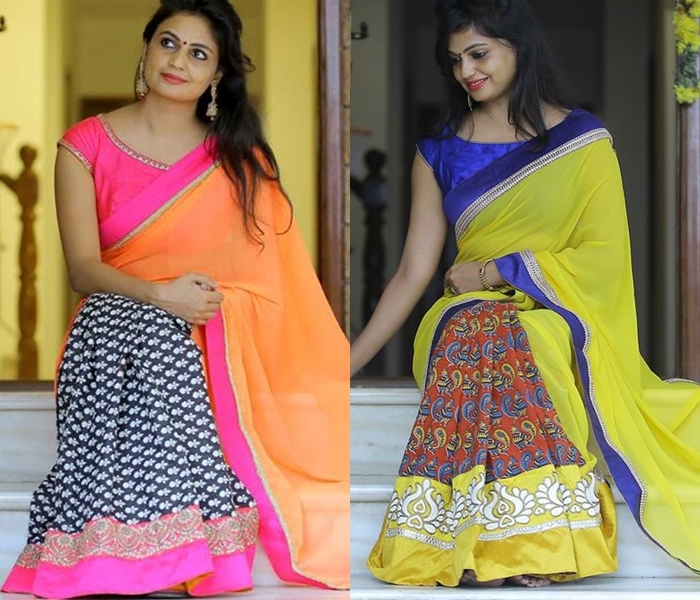 These are some popular half and half saree designs that you can consider this season. 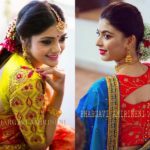 We also like to show you few more models on how exactly the highlighting on half and half saree can work on your favor. We mean, by picking up the right work, you can attenuate the various portions of your body. 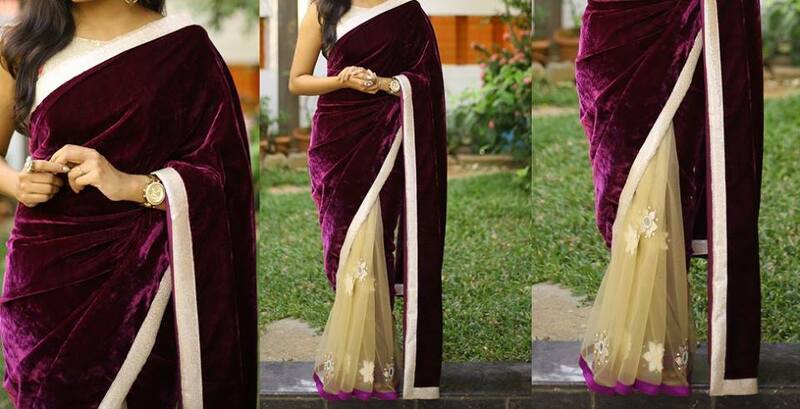 If you like to experiment bold colors that don’t want to wash you out, consider wearing them on half and half saree with a deeper tone like below. Don’t want a tip to toe party wear look? Then wearing a super shiny saree half with floral prints in the later half will get you that understated look. If heavy prints are too clumsy for your taste, then wear the prints on the upper half and go easy on the pleats section like below. If you are not into glittery stuffs, then half and half saree with embellishments on certain areas will be a great savior. Use colors to create a chic impression. Half and half sarees lets you do this perfectly. Sport the traditional prints in trendy way with a fashion forward saree like the one below. 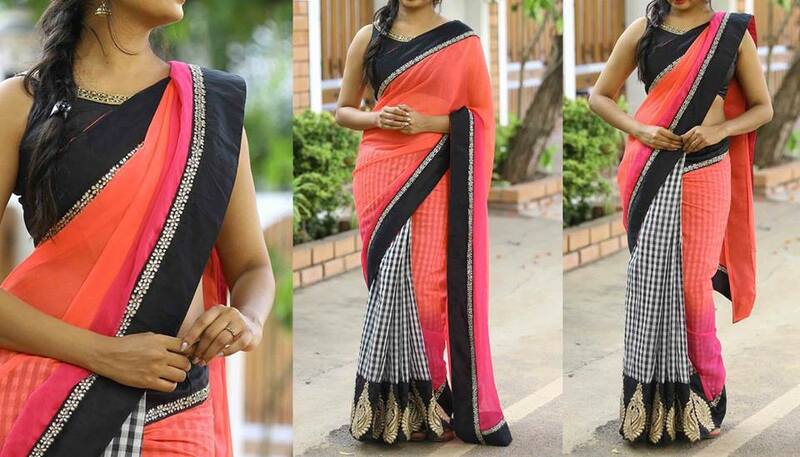 A great way to make your prints stand out is to go for a saree like the one below. The plain finish on the bottom throws all the attention to the elegant prints here. 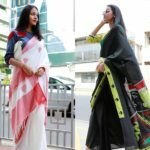 These are few ways to take advantage of half and half sarees. What do you think about them? If you like to shop the above sarees, please find the contact details. Previous articleDitch Dupatta, Shop This Cool Scarf Instead!